Werner Herzog's new film "Cave of Forgotten Dreams" is a stunning 3D documentary about a cave in France that is home to the world's oldest known human art. Herzog has always had a fascination for extreme places. Whether it's the rainforests of 1972's "Aguirre, the Wrath of God" and 1982's "Fitzcarraldo," the ravaged oil fields of Kuwait in the 1992 film "Lessons of Darkness," or Antarctica as featured in the 2007 documentary "Encounters at the End of the World," the legendary German filmmaker seems happiest when he is in the kind of location that tests human endurance to the limits. But seldom has Herzog filmed in a place as inaccessible as the location of his latest documentary. 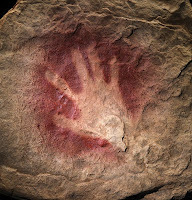 In "Cave of Forgotten Dreams," which features in the official program of the 2011 Berlin International Film Festival, Herzog visits the Chauvet Cave in southern France, which is home to unique examples of Paleolithic rock art. The cave was sealed off for dozens of millennia -- and even today, no one is granted access apart from a handful of scientists. The cave, discovered in 1994, is home to hundreds of pristine artworks. Over 30,000 years old, they are the oldest known pictures created by humans.